MFSF is distributed by Embryo Films worldwide. 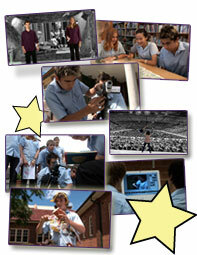 Making Fantastic Short Films was produced by Embryo Films, a division of BORDERLESS PTY LTD, Sydney Australia. Produced and directed by Jeff Bollow. Written by Dr Rie Natalenko, BA(hons), Dip Ed, MEd(hons) MCA, DCA.